Trust Phone Ninja to repair your iPad Pro; whether you have the Pro 12.9-inch iPad Pro 9.7-inch or the new iPad Pro 10.5″. Having repaired over 30,000 devices since 2009 in Perth alone, we have the experience and the expertise to handle any repair you can throw at us, including iPad Pro screen replacements. We have stores across Perth, Western Australia so we are never too far away, drop down today or contact us for more information about your iPad Pro repair. Our price-beat guarantee means our service is also affordable, after all if you can find a cheaper price in Perth then we’ll beat it! While we primarily offer iPad Pro touch and screen replacements, for whatever repair you’re looking for we stock only the highest quality parts available. We also test each device we work on before and after the repair, saving you hassles down the track. So contact Phone Ninja today, for all your iPad Pro repair needs. At Phone Ninja we always like to keep up with the latest products. The iPad Pro is exactly that, the latest and greatest version of the ever popular iPad range. So we have all the latest information regarding iPad Pro repairs and screen replacements available. Apple’s new iPad pro comes in two sizes, The famous 9.7 inch with true tone colour and wide colour display; and the all new 12.9 inch screen (the biggest iPad screen so far). Although the 12.9 inch model is bigger, it’s the smaller 9.7 inch model that packs the best performance and features. The 9.7” has a better rear camera coming in at 12 mega Pixel with 4k HD recording while the 12.9” gets just an 8 mega pixel camera and misses out on the 4k recording. Another benefit of the 9.7” is the 5 mega pixel front facing camera. The iPad pro is designed to take over some of the regular PC computing market, giving you a portable device that performs like a PC. This may fill a gap for many business users and people that like to have the best device available. 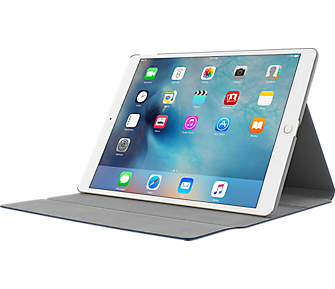 At Phone Ninja our ninja part scouts have sourced the parts available so our pro ninja techs can get started on fixing any issues that you may have with the iPad Pro range. So if you have any issues, please give our friendly ninjas a call for the most up to date information available regarding the iPad Pro.